Purchase tickets and vendor tables by clicking here to be connect with our Givelify account. See ticket options below on flyer. 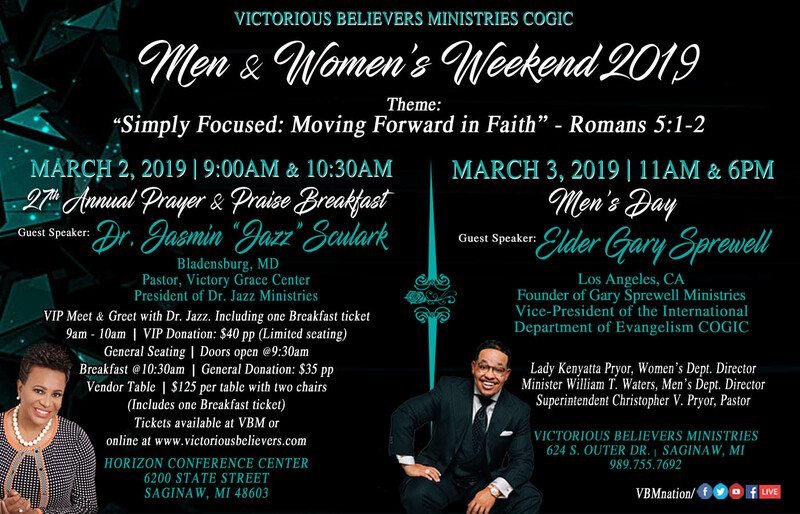 COMMUNITY HONOREES: VBM’s Annual Prayer and Praise Breakfast is just around the corner and we are excited to not only have Dr. Jasmin “Jazz” Schulark as the speaker but honoring 4 dynamic ladies in our community. You have an opportunity to meet Dr. Jazz up close and personal in the limited VIP session starting at 9am. Thank you to everyone who has supported us over the past 27 years and we hope to see you again on March 2nd.